DVD movies are a huge part in our daily life, giving us entertainment, making us laugh, and teaching us to share. When you come across fantastic DVD movies, you may want to back up DVDs and not surprisingly, you may turn to DVD Shrink for help, which is a freeware to decrypt protection and make DVD backup available for every user. For those who may not know this freeware well, this post is really your best DVD Shrink tutorial. And yes, not only DVD Shrink is covered in this post, but we will also shed some light on DVD Shrink alternatives. To begin with, let’s spare some time to get to know DVD Shrink in a comprehensive way. As clearly stated in its official site, DVD Shrink is Windows software to backup DVD discs. You can use this software in conjunction with DVD burning software of your choice, to make a backup copy of any DVD video disc. With built-in decryption algorithms, DVD Shrink can overcome copy protection on DVDs and let users access the DVDs smoothly. Meanwhile, as its name indicates, it has a magic power to shrink data from the original DVD. Most DVD video titles are simply too large to fit, without modification, onto a single recordable DVD-R disk. DVD Shrink can compress these data and make them fit to a DVD although some loss of quality is inevitable. It is always providing users with perfect options to make a balance between quality and data size. Overall, DVD Shrink is a free program developed to help users break DVD encryption, remove region codes, shrink data and make them fit to a writeable disc for sharing, enjoyment, or saving. If you have questions like “what is DVD Shrink” and “what does DVD Shrink do”, now you should know the answer. Keep reading on and I will share with you how to use DVD Shrink to copy your DVD. To learn how to use DVD Shrink to copy a DVD, you must have it installed properly on your PC. If you have not got the chance to install it, click here to download and install this freeware on your PC. You may be prompted to donate some money in it so as to keep this freeware alive all the time. The latest version should be 3.2.0.15 and you probably won’t miss it if you follow the above link. 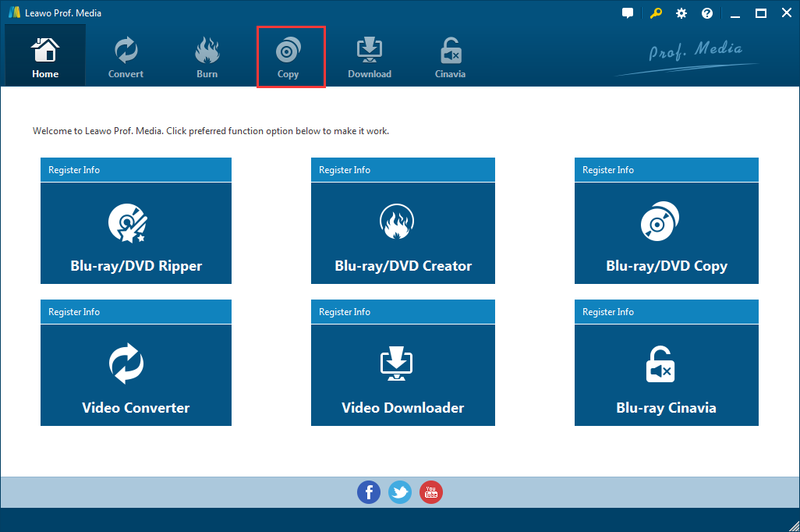 Now we assume that you have successfully installed this program on your PC and we can move directly to DVD Shrink tutorial for detailed steps on how to use DVD Shrink to copy your DVD. Step 1: Set preference before running DVD Shrink to copy DVD. Follow wizard guide to install and set the preference before running this program to shrink DVD. Step 2: Add source DVD to the program. Click Open Disc and you will need to select the original disc to import the contents to the program. In Full Disc backup mode, there will be several options to try. Usually we will go for main movie. Step 3: Select a drive to backup. After clicking on the open disc button, you will be prompted a window to select the drive to backup. Select one accordingly. Step 4: Perform compression settings. On the right window, select the video mode from the drop down menu, namely automatic, custom, no compression, still image, and still pictures. You can select the one that you like. Note that you will have to delete some unnecessary contents in order to fit the disc size, for example, you can delete irrelevant audio tracks by de-selecting the check box. Step 5: Back up the DVD. Hit on the Backup button on the main tool bar and you will be asked to burn the DVD to somewhere in your drive and select a folder for output files. After all is set, click OK to proceed. This process takes a while depending on how large your DVD is. DVD Shrink has discontinued its development though it is valid and still works pretty well nowadays, many users have the intention to seek alternatives to do the job more reliably and expect to see constant development efforts in such alternatives. Leawo DVD Copy is such kind of program that has been released to millions of users across the globe for providing the up-to-date DVD copy support. It is capable of preserving 100% of original DVD quality after backup. Copying DVDs with 6x faster speed, this program prides itself on the ability to remove any CSS protection or region codes, thus enabling users to freely enjoy DVD movies without troubles even outside of the region where the DVD is released. If you have some DVDs you can’t play because the region codes on them are different from the one on your DVD player, use it to make a region-free DVD copy for unlimited playback. Thanks to its ability of performing 1:1 losssless DVD-9 to DVD-9, DVD-5 to DVD-5 backup and DVD-9 to DVD-5 compression, this program is receiving growing popularity in this industry by delivering to users powerful DVD copying features. We can follow the guide below to get to know how this program can be used in copying DVD. Step 1: Load Leawo DVD Copy. Note that unlike DVD Shrink, Leawo DVD Copy isn’t a single piece of software. It’s inside a software suite that the company calls Leawo Prof.Media. Just open Prof.Media and you can find DVD Copy’s icon on it. Click on DVD Copy to load it. Step 2: Put the original DVD contents to the program. Hit on the Add Blu-ray/DVD button, and you will be shown with three options from the drop down menu to add the DVD contents to the program. Or, you can simply drag and drop the contents to the window. You can specify the disc type for the copy once your contents have been imported, may it be DVD-5 or DVD-9. Step 3: Select a proper mode to copy a DVD. Select the target mode from the bottom, which can be full movie, main movie, or custom mode. Different modes help you select different content in the disc. Also, you can click on the settings button from the top right corner to perform copy and burn settings such as video mode. Step 4: Start to copy the DVD. Click the green Copy button to call out a sidebar. 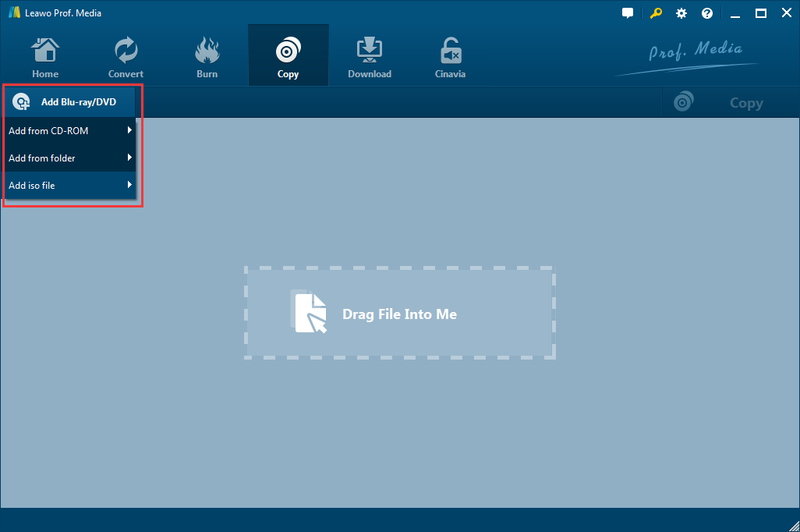 Depending on how you want to make the copy, you can select Folder or ISO file on the top to make the program copy your DVD to your hard drive as a DVD folder or an ISO image. In this case, set a directory for saving the copy in the directory box. Then, click the red Copy button on the bottom to start copying the DVD finally. Step 5: Track the copy progress. Track the copy progress based on the green bar, which tells the time required, and gives real time completion status for users’ reference. When the green progress bar reaches 100%, your DVD is successfully copied and you can find it from some folder that you set previously. Frankly speaking, Leawo DVD Copy is not the only perfect alternative to DVD Shrink. Many other programs are good alternatives to DVD Shrink as well. This is a competitive program to DVD Shrink as well as Leawo DVD Copy. It offers a solution to users to compress DVD-9 to DVD-5, copy DVD to DVD folder or ISO image file with perfect quality. It is not freeware but it is worth the money for such professional services in DVD backup. However, its user interface is a bit complicated for beginners. As a not bad alternative to DVD Shrink, Handbrake is an open-source, multithreaded video transcoder. To tell you more, it converts digital media from one format to another, compressing the files in the process. Handbrake can rip encrypted DVDs and make ripping a film from a DVD to a data storage device easier. To sum up, you can have more understanding for DVD Shrink through our DVD Shrink tutorial and definitely get the idea about how to use DVD Shrink to copy a DVD. It is not enough because DVD Shrink is not the only choice for you to copy a DVD and moreover, it is obsolete since several years ago, which makes DVD Shrink alternative so much needed. To better handle DVD copy demands, we introduce several DVD Shrink alternatives to you, including Leawo DVD Copy, Handbrake, and Tipard DVD Cloner. These programs are outstanding in terms of removing encryption and region codes. To be honest, for beginners, I suggest them to use Leawo DVD Copy because this program provides the most user-friendly interface and gives the easiest guide to copy a DVD. From the perspective of output quality, Leawo DVD Copy is also the best choice for users as it takes advantage of the advanced technology to minimize quality loss after data compression. A trial version is available for beginners to get to know this program. Try it out. Remember to send feedback to us if you have any other inquiries about DVD copy.